NEAK Sophal | Born in 1989 in Takeo, Cambodia. Lives and works in Phnom Penh, Cambodia. Neak Sophal is a conceptual photographer. Her works highlight social issues and specificities of the Cambodian culture, with a strong focus on the stories and memories of her models. 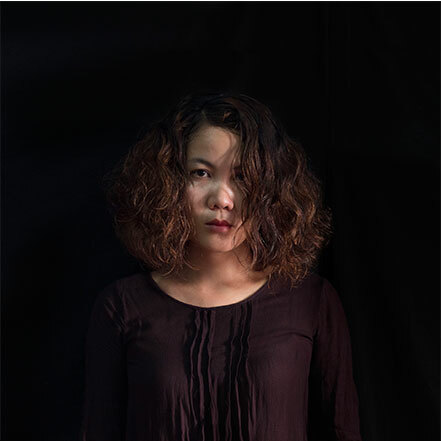 Trained as a graphic designer at the Phnom Penh Royal University for the Arts, she always prepares the composition of her photographs by asking the model to pose, sometimes with specific objects. She has been actively involved in workshops and group and solo exhibitions locally and internationally over the last four years including France, Japan, Australia, Angkor Photo Festival, Spot Art, Singapore, Hong Kong International Photo Festival, Asian Eye Culture in Thailand, Voice of Tacitness Exhibition in China, Our City Festival Phnom Penh, SurVivArt, Berlin, and Photo Phnom Penh festival.